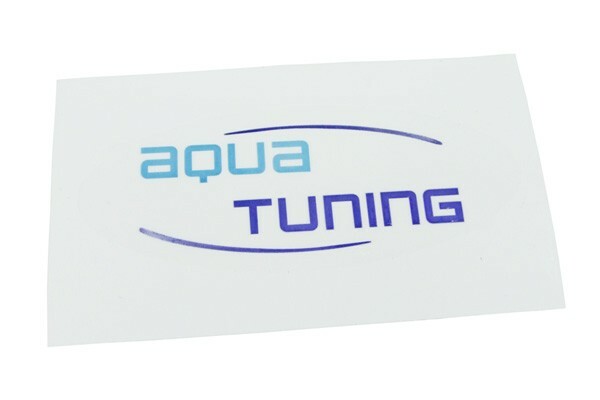 Aquatuning and Phobya stickers, THE sign for high-class watercooling! The Aquatuning stickers are available in 2 sizes, 100x60mm and 50x30mm, both in an oval shape, the Phobya stickers are 50x50mm in size and of a triangular shape with beautifully finished edges. All 3 stickers were kept completely transparent except for the print itself to perfectly blend in with the background. Hence the stickers can be put virtually anywhere, be it the case side panels, the front or top, it will always blend in perfectly! Another great effect can be achieved if the stickers are put onto a Plexi case window or transparent reservoir, especially with additional lighting amazing effects can be achieved! Or use the sticker for the car, travel case, monitor, desk,cabinet... The possibilities are unlimited! Of course this sticker can be removed without residues and is gentle to all surfaces!